who specialized in supplying citrus flavoring. Lynn Kryger, and the Kryger Family. active community volunteer and philanthropist. 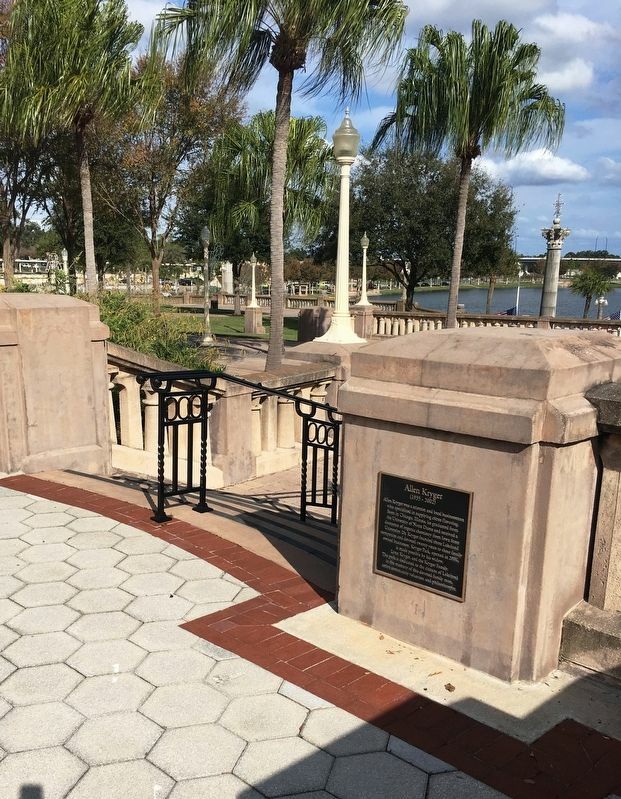 Erected by City of Lakeland and the Kryger Family. near this postal address: 108 S Massachusetts Ave, Lakeland FL 33801, United States of America. Touch for directions. Other nearby markers. At least 8 other markers are within walking distance of this marker. ‘Mute Swan Protecting Her Cygnets’ (within shouting distance of this marker); Munn Park (about 500 feet away, measured in a direct line); Polk County Confederate Monument (about 600 feet away); Munn Park Historic District (about 700 feet away); Polk Theatre and Office Building (approx. 0.2 miles away); The Oates Building (approx. 0.2 miles away); Second Mass. Infantry Camp (approx. ¼ mile away); The Women's Club of Lakeland (approx. 0.3 miles away). Touch for a list and map of all markers in Lakeland. More. 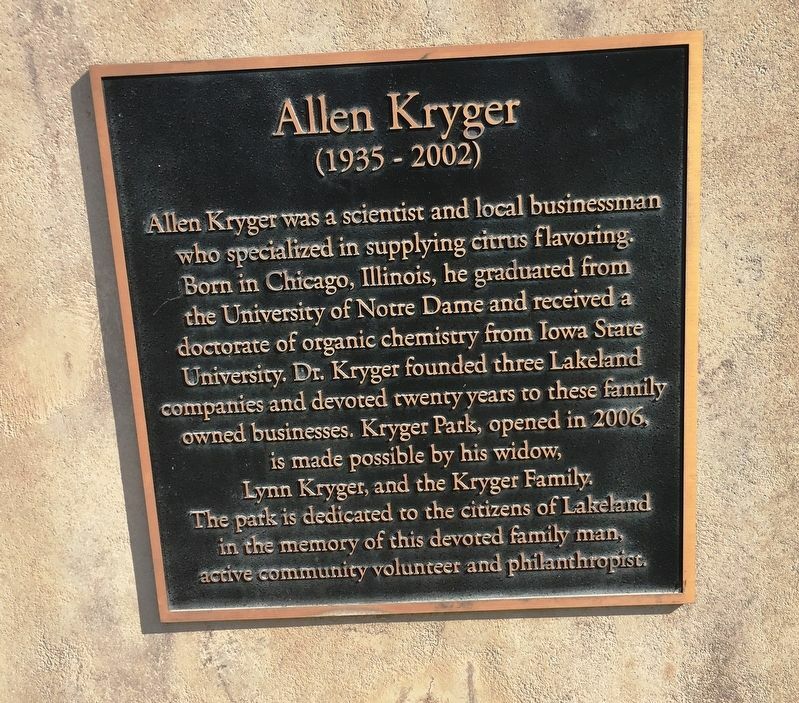 Search the internet for Allen Kryger. Credits. This page was last revised on March 5, 2019. This page originally submitted on March 3, 2019, by Brandon D Cross of Flagler Beach, Florida. This page has been viewed 93 times since then. Photos: 1, 2. submitted on March 3, 2019, by Brandon D Cross of Flagler Beach, Florida. • Bernard Fisher was the editor who published this page.